Don’t get us wrong, we absolutely love our pastas that are made in-house fresh. 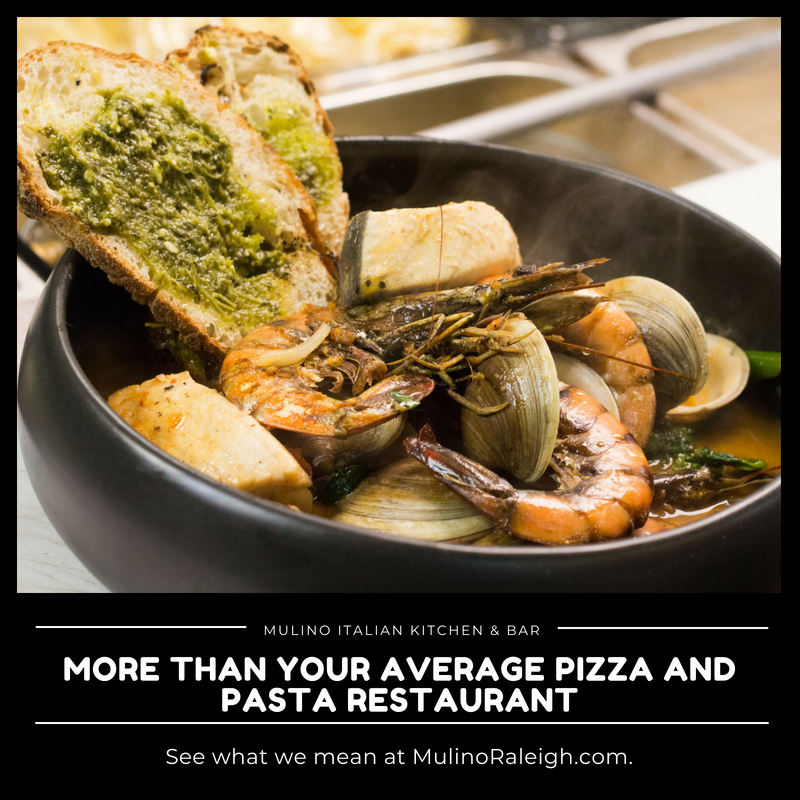 And you can never go wrong with getting one of our oven-fired pizzas – but we would be doing you a disservice if we did not introduce you to some of our other favorite menu items that make us so much more than your typical Italian restaurant. Learn more about the Carne & Pesce section of our menu that includes delicious seafood, lamb, steak, chicken, and more. Seafood lovers, our Zuppa Di Pesce is pictured above and is one of our chef’s favorites. Local clams, mussels, shrimp, filet of snapper, scallops, and house-made fish broth sauce. Not in the mood for seafood? Our Agnello is perfect for the meat eaters. Local lamb scottadito, rosemary, garlic, lemon zest, seasonal vegetables, and roasted potatoes. Yum! Be sure to try our Pollo. Organic roasted half chicken with lemon, thyme, rosemary, garlic, seasonal vegetables, and roasted potatoes. Last but not least, our Manzo is delicious! Hanger steak, all natural black Angus beef, seasonal local vegetables, and rosemary roasted potatoes.